In reflecting on the event, Mr. Franks told Bernews, “I felt that the show went great, it was a once in a lifetime experience that I will forever be grateful for. Everything was very well planned and and the show went off without a hitch. “I was proud that I was also able to grant eight local models the opportunity to travel with me to New York to walk in my show. 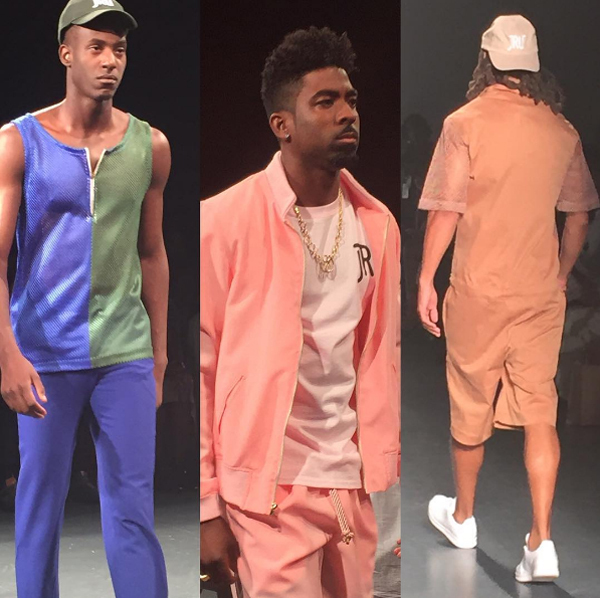 So not only was it local designs, made with fabric that was purchased locally, but it was represented on the runway by the Bermudian male- island pride at its best. 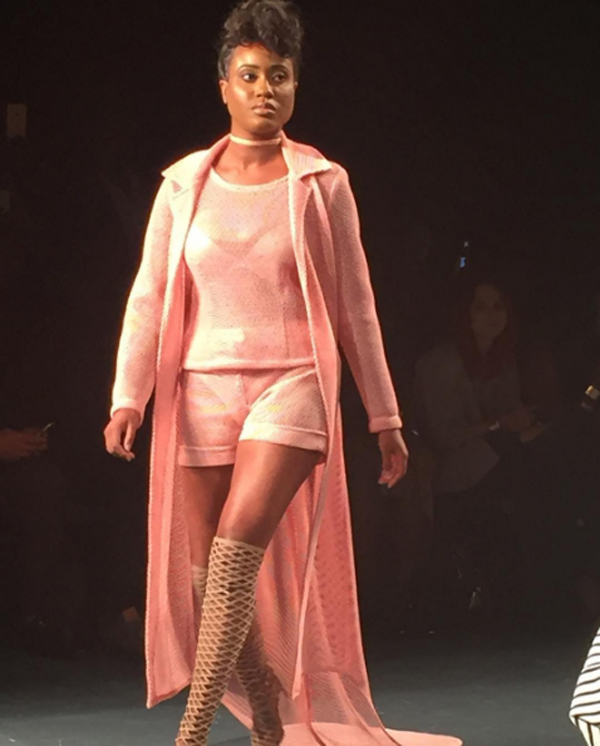 “It was also exciting to see Ty Hunter [Beyonce’s stylist], Shiona Turini, Swizz Beats and Naturi Naughton in the crowd when I took the finale walk. Asked if he made any good connections, Mr Franks said, “I did make many good connections. Connections with magazine editors, fashion bloggers, production companies and I was even offered to show my collection in London. Unfortunately I had to decline due to it being so soon and my 9-5 work constraints. In response to questions about his upcoming plans, the designer said, “I do not have any other shows coming up, however I am designing a fall capsule collection for the local retailer Urban Cottage. When I launch the capsule collection I do plan to have an in-store event at UC. 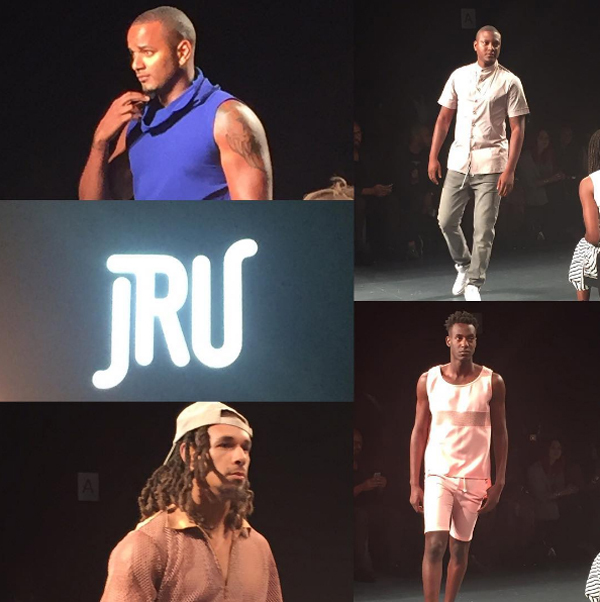 “Be sure to check out either jruclothing.com or urbancottagebermuda.com for updates on when we will launch,” Mr Franks added. 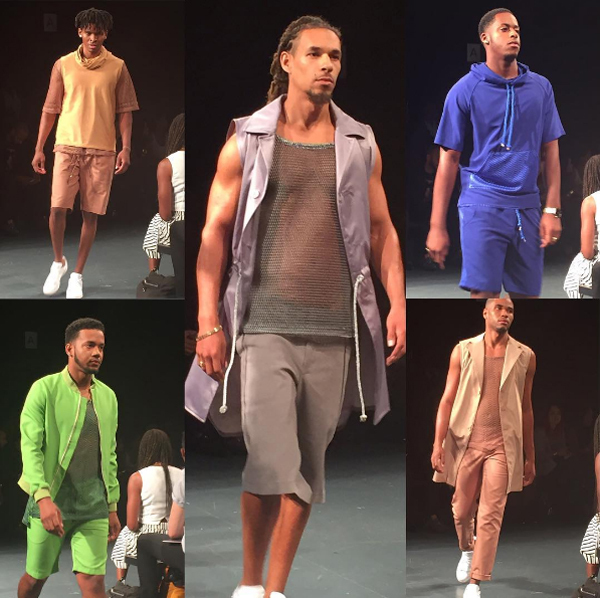 it was awesome to see the Bermuda Fashion Festival sponsor the models.